Shahrukh Khan, one of the most popular actors of India, gave a TED talk at Vancouver. While the talk sounded too formal and rehearsed, it still has a lot of positives and lessons for presenters. He has broken the talk into 5 parts and it moves chronologically. His topic was 'The Future of Humanity' and he gave all the messages related to that in the last 7 minutes of his talk. Why did he do that? Why all the story telling for the first 10 minutes? How do you tell someone what will the future look like? How do you tell someone how to conduct themselves in the future? Shahrukh first establishes an alignment. He explains his own life and what he has seen. What has he gone through in the last 50 years and how has he seen humanity change in the same time. By the end of the first 10 minutes, we are now on the same page. 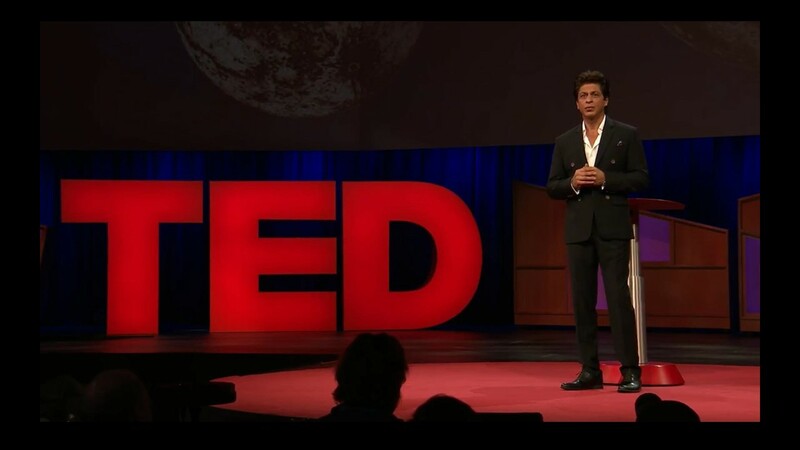 We have understood Shahrukh's worldview and are now ready to hear his sermon about the future. This is a solid approach and the most important lesson from this talk. His entire talk is based on one simple analogy. Humanity is like him, an aging movie star. In parts 1, 2 and 3 of his talk, he shares stories from his life. He then connects those stories with humanity. He tells us how humanity was back then and how has it changed. He starts 50 years back and over the three parts of his talk brings us to the present (2017). 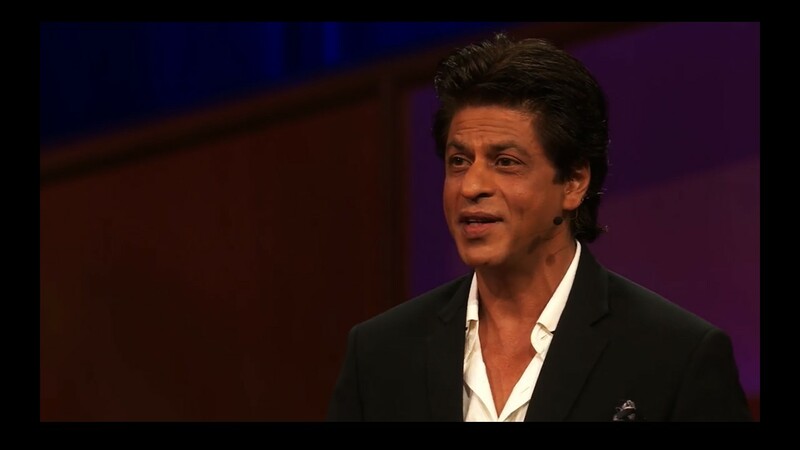 Being an entertainer, Shahrukh knows the power of humour and knows how to use it. As an example look at these two quotes. "There are a lot of people here who haven't seen my work and I feel really sad for you." "Lesbian was the capital of Portugal, as you all know." His entire talk is garnished very well with humour and most of his jokes are on himself. This is a good approach. It makes you more likable. Laughing at someone else could be great for stand-up comedy but not for a TED talk. Shahrukh has not held back. He has shared personal emotional anecdotes. He has shared his joys but more importantly he has shared his sorrows. He talks about all the rumours about his third child and how people have misused technology and have said whatever they wanted to say. Sharing emotional messages makes him look like a common human being and helps him connect better with his audience. Being a celebrity, that is a good strategy. It shows that they are also just another human being. "You may use your power to build walls and keep people outside or you may use it to break barriers and welcome them in." "You may use your faith to make people afraid and terrify them into submission or you can use it to give courage to people so they rise to the greatest heights of enlightenment." Decide the logic on which you will base your talk. Shahrukh talks about the past. Exposes you to who he is and what he has been through. Now that you are aligned, he shares his vision for the future. You could agree or disagree with his vision but you understand him and that is more important. Use an analogy to make your point more clearly. Use humour. It always makes you more likable. A joke about yourself or about your life. Avoid making fun of others. Share emotional stories with your audience to connect better. Create verbal contrast to make your argument more clearly.